An auction listing featuring the sunglasses worn by Paul Walker on the day he died, debris from the crash site and a fire extinguisher is currently attracting bids of over $600. The sunglasses worn by Paul Walker on the day he died are up for sale. 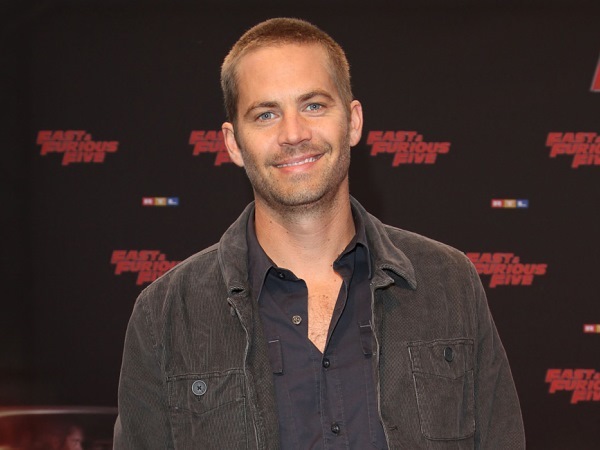 The Fast and the Furious actor perished alongside his friend Roger Rodas on November 30, when the car they were travelling in lost control and crashed and the seller of the accessories claims to have stopped to help at the crash scene in Santa Clarita, California. According to the auction listing, the mystery owner says police ordered him away from the scene but he returned to look when the wreckage was cleared and found the sunglasses in the bushes. The listing states: "The owner of this lot offering was nearby and on scene for information and assistance with officers and reporters. "Once the site investigation was cleared with car debris hauled away and tape taken down, a responding officer allowed him as well as others back to the public site. "The only thing left was a charred ivy brush, minor residual debris, a knocked down pole and tree. "As the consigner walked the scene in disbelief and grief, he found a pair of sunglasses nearby in the ivy. After showing one of the officers, he was waved off. The glasses were dirty so he wrapped them in a handkerchief and put them in his pocket. He also found some residual debris nearby which he kept in memorandum." The listing on BidAMI.com also includes a fire extinguisher which the owner claims was used on the scene, crash debris and photographs taken at the site. The lot has so far attracted three bids, and the current sale price is $605.